This is the drag race you've been waiting for. The Bugatti Veyron Super Sport has been out for what feels like ever, and as such we’ve seen it drag race just about everything, including a jet. 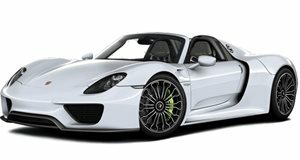 The Porsche 918 Spyder hasn’t even been available for a year and already it has taken on some pretty serious challengers, including the LaFerrari and Koenigsegg Agera R. What these two supercars haven’t done is face each other, until now. What makes this race even better is that the Super Sport starring in it, is the one-off Pur Blanc. We won’t bore you with the details of who should win and why. We'll just let you check out the video and see for yourself.